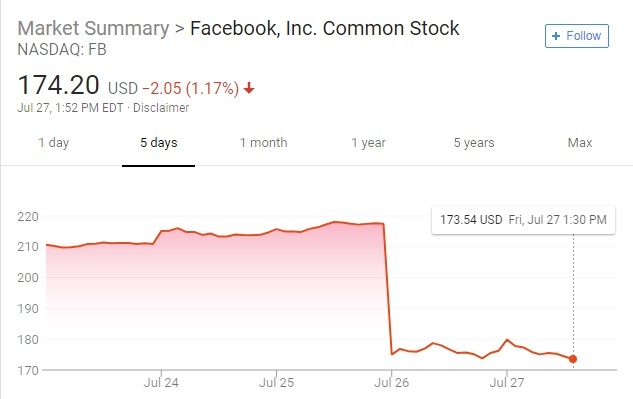 Following up on Thursday's article detailing how big tech has had a very, very bad week, we see that Facebook's "market capitalization plummeted by $119," making it the "largest one-day loss in market value by any company in U.S. stock market history after releasing a disastrous quarterly report," according to CNBC. Facebook saw no improvement on Friday as their stock numbers are down even more. Facebook has now also banned Alex Jones from posting to the site for 30 days after removing four videos they claim violated their community standards. On Thursday Twitter also was engulfed in scandal as liberal websites confirmed what conservatives on Twitter have been documenting for years, which is that Twitter "shadow bans" conservatives, including GOP Congressmen. Representative Matt Gaetz was one of those congressmen, and he immediately threatened to file an FEC complaint against Twitter, while president Trump tweeted the issue would be investigated. By Friday, Twitter saw its stocks plunge by 18 percent. Twitter supposedly fixed the issue, then decided to offer an explanation that claims, once again, they do not "shadow ban," users. 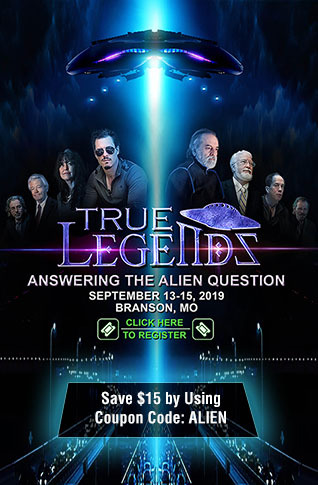 In their rush to explain, by "setting the record straight," they attempt to explain how the whole mess occurred where their search auto-suggestion feature was eliminating the names of those being searched for, making it harder to users to find the accounts in question. As part of their "setting the record straight," they end up making a stunning admission, one that has been dubbed as "obnoxious" by lawyer, journalist, and author, Glenn Greenwald of The Intercept, who is definitely not what one could consider conservative by any means. For those that do not use Twitter, the whole purpose of "following" someone is so that you can see their Tweets in your timeline, but in their rush to defend against the "shadow banning" allegation, by attempting to define it in a manner that exonerates them from doing it, they have now openly admitted that yes, they do censor content by disallowing users that want to see another users content, in their own timelines (by following that user), from seeing that content without having to go hunt it down themselves. Kind of makes the "follow" function worthless, doesn't it? Greenwald takes Twitter to task, saying "This is a bizarre and incredibly disingenuous statement from @Twitter. What's the point of following someone if Twitter blocks their tweets from appearing in your time-line? Maybe that's not technically "shadow-banning" but it's heavy-handed manipulation." He continued, "The more I think about this new @Twitter explanation, the more obnoxious it becomes. I decide to follow someone to see their tweets in my time-line. Twitter (silently) decides for me it's best if I don't see them, unless I go to their page (making the following feature pointless)." Twitter CEO Jack Dorsey got defensive over Greenwald's criticisms and responded to him, stating "We don’t block who you follow on your timeline. We do rank the timeline, so you may not see them there if those tweets are not as relevant as others. You can also turn this ranking of. Another stunning admission, as Dorsey now arrogantly and publicly admits that Twitter, as policy, thinks they have the right to determine what is and is not relevant for people to see from others they have chosen to follow for the sole purpose of being able to see what those people have to say and share. The ranking function Dorsey refers to is automatically set to "show best tweets first," and users have to manually go into their settings to uncheck the box in order to see all the tweets from those they have chosen to follow. 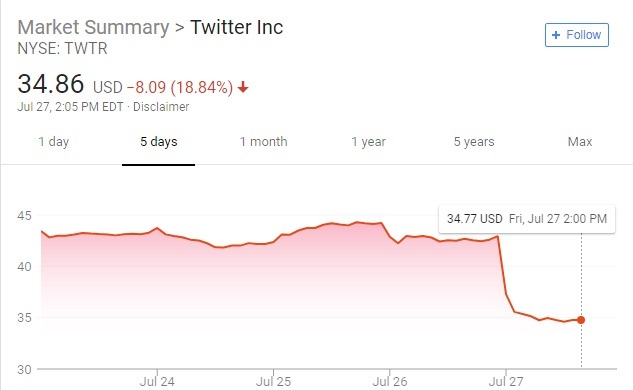 In Twitter's second quarter they reported that their monthly active users fell more than 1 million from the first quarter, which is what happens when a social media platform that began with the original idea of free speech, obnoxiously decides it has the right to force people to have what the platform decides is a "healthy conversation," using algorithms tweaked by liberally biased individuals to label any speech they do not like as bad behavior. There are mute and block user features which any user can utilize if they feel a conversation is not "healthy." Both Facebook and Twitter are seeing a drop in active users, and both have now suffered stunning stock market plunges. Both platforms have also been consistently censoring conservatives on their platform. Unless both platforms stop suppressing news and opinions they don't like by declaring it "unhealthy," or teaching their AI algorithms to inaccurately label certain types of speech as "bot" or "troll-like" behaviors, these losses in users will continue. When people sign up on social media it is to communicate or share with others, and those same people are not happy when a platform attempts to control what they can or cannot say, nor what they should or should not be allowed to see.